Is buried skeleton what remains of real Mona Lisa? 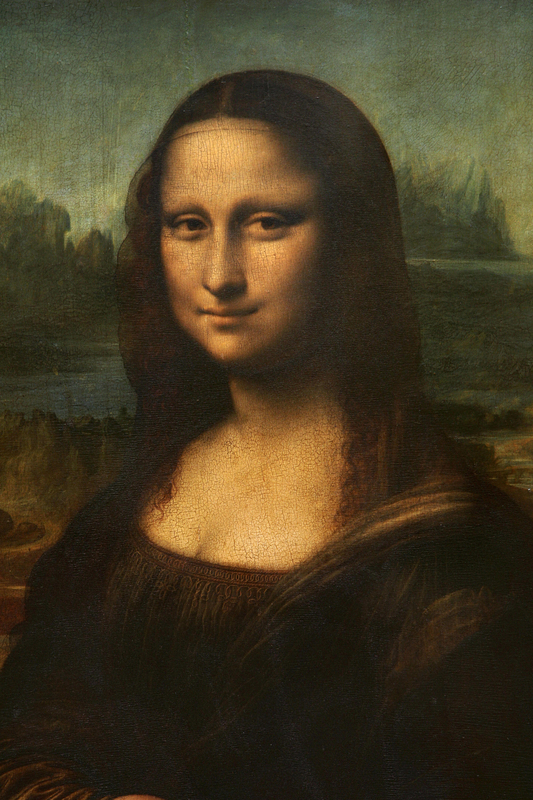 Archaeologists searching for the remains of Leonardo da Vinci's Mona Lisa have uncovered a skeleton that may belong to the mysterious woman. The skeleton was unearthed in a Florence convent where researchers are searching for the remains of Lisa Gherardini Del Giocondo, the women believed to be the model for da Vinci's famous painting. Based on an early look at the cranium and pelvis, the skeleton appears to be female, Bologna University anthropologist Giorgio Gruppioni told news agencies Friday (May 27). However, more study is needed to determine if the skeleton is, in fact, female, much less whether she lived and died around the same time as Del Giocondo.The researchers were led to the church by historical records, including Gherardini's death certificate discovered a few years ago. She reportedly spent her last two years (until her death in 1542) at St. Ursula in Florence after her husband's death. The documents note that there is a crypt beneath the church floor where Gherardini would have been buried. Researchers plan to continue the excavation of the skeleton. If the bones do belong to a woman and are from the right time period, the archaeologists will attempt to extract DNA from the skeleton to compare it with the remains of two of Del Giocondo's children, buried in a separate cemetery. They also hope to reconstruct her face to compare it with that of the Mona Lisa painting. But some outside researchers are skeptical about the validity of the project. Writing for the archaeology website Past Horizons, University of North Carolina, Chapel Hill anthropologist Kristina Killgrove pointed out that facial reconstruction is an unreliable art. Many attempts at facial reconstruction have been done on famous specimens, from King Tut to the paleo-Indian Kennewick Man to a bog woman named Moora, Killgrove wrote. "In spite of what the researchers who commissioned the reconstructions say," Killgrove wrote, "the alternate faces of each of these three long-dead people bear only a passing similarity to one another, even though they were based on the same relatively complete skull." Monty Dobson, an archaeologist at Drury University in Missouri, said the unearthed skeleton "is in pretty rough shape, by the looks of it," which would make a reliable facial reconstruction difficult. It wouldn't be surprising if the skeleton turns out to be someone with Del Giocondo DNA, Dobson said, given that historical records suggest that the researchers are digging in the family's crypt. Even so, he said, the connections to the Mona Lisa are tenuous. "It's kind of a circular argument there," Dobson told LiveScience. "You've identified this individual, okay, that's terrific, but they're still grasping to make links between this individual and the Mona Lisa."